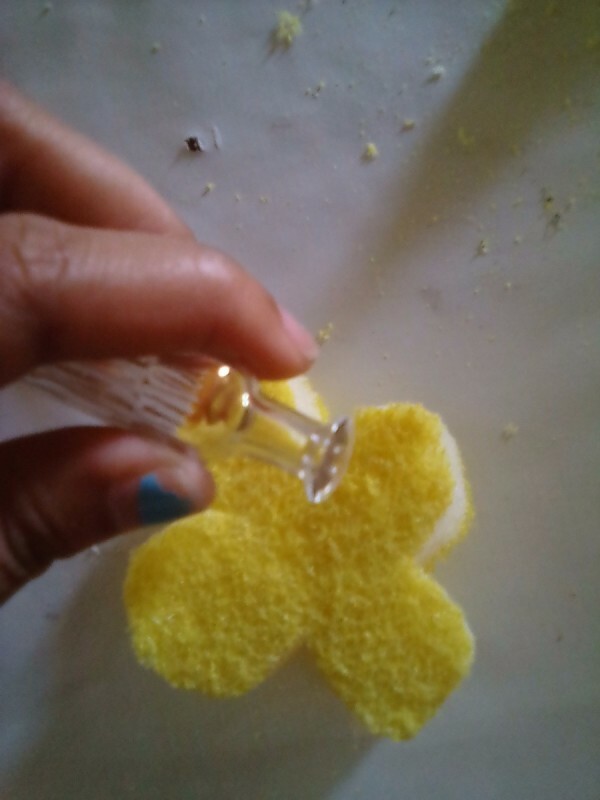 Make your own car air freshener from a sponge. 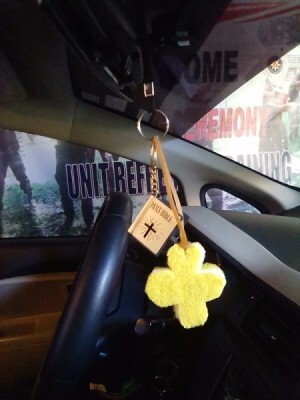 This is a guide about sponge car air freshener. 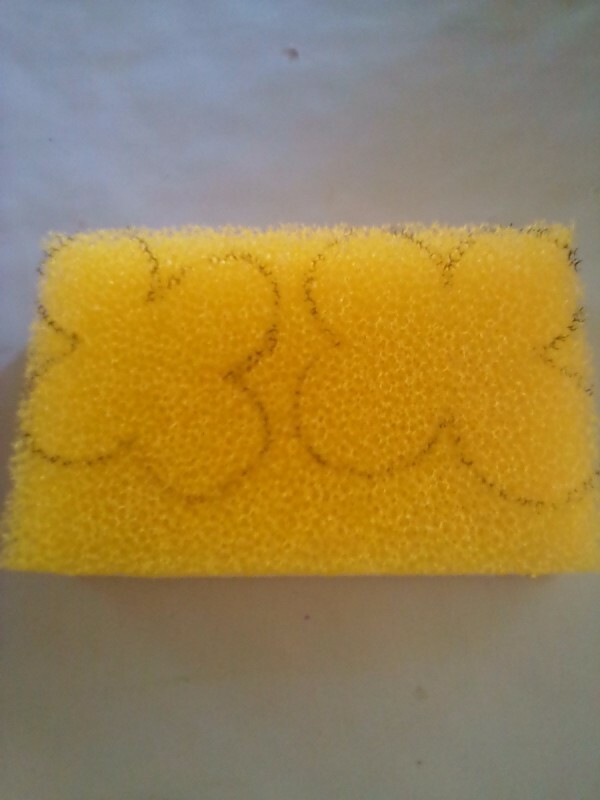 Did you know that you can make a car air freshener using a dish sponge? It is very simple, easy, and thrifty on your pocket. You can make it together with the kids too! You can create any design you want. 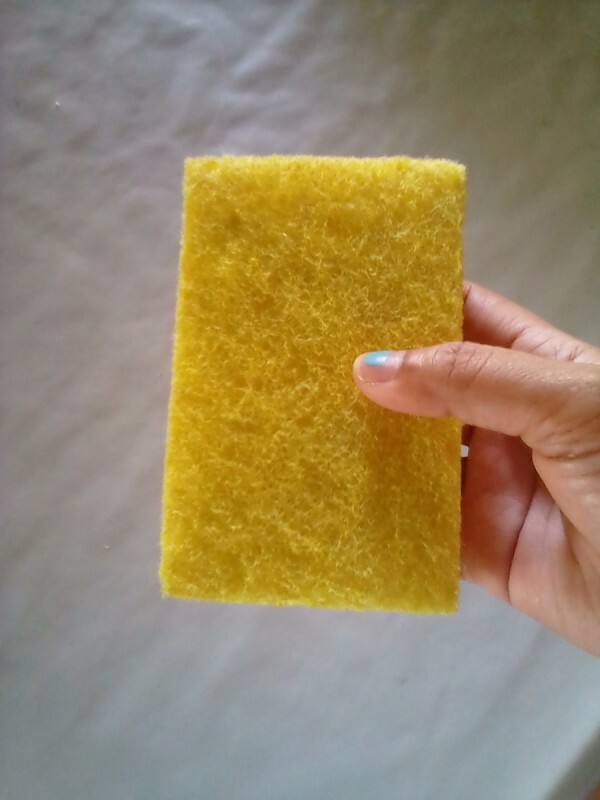 Grab a 1 piece of dish sponge. 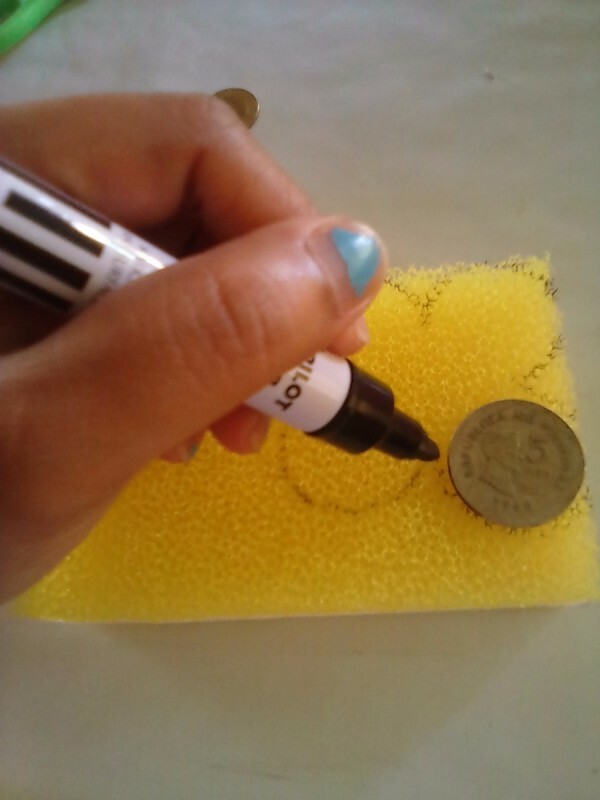 Make a pattern, anything you want, using your Pentel pen to draw. 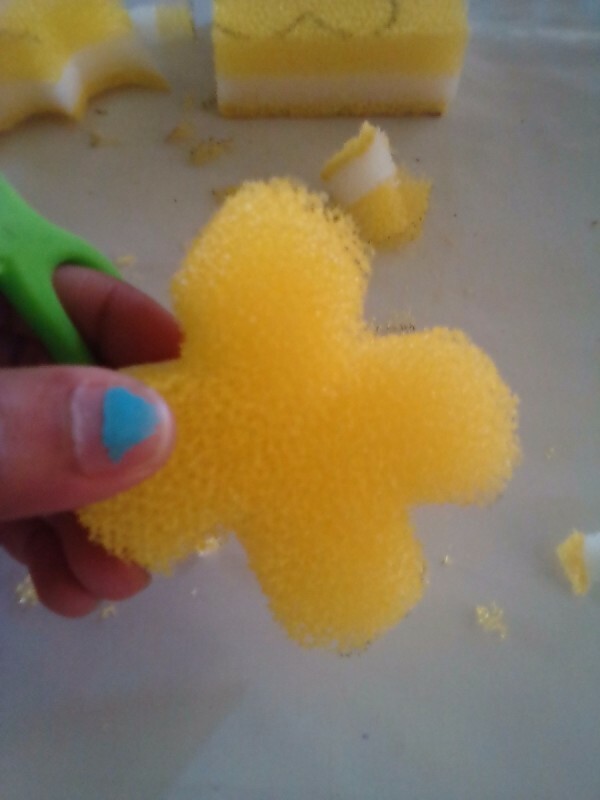 I used coins to make the holy cross for my pattern. 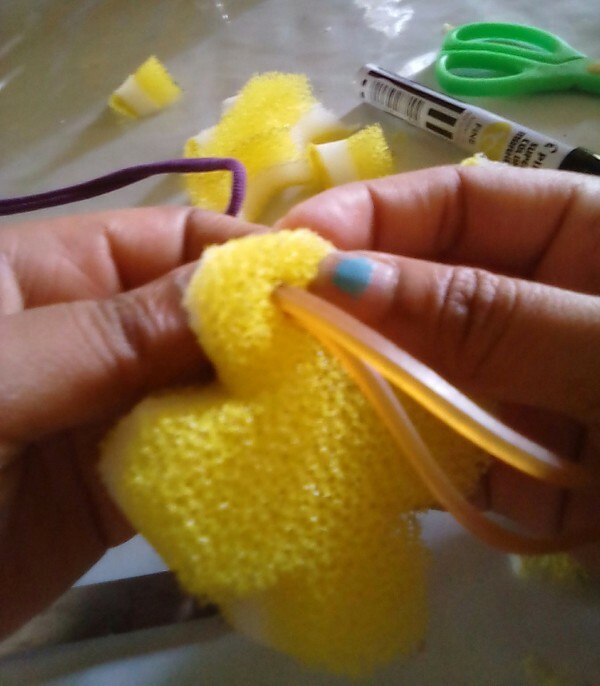 After making a pattern, get your scissors and cut out your shape. 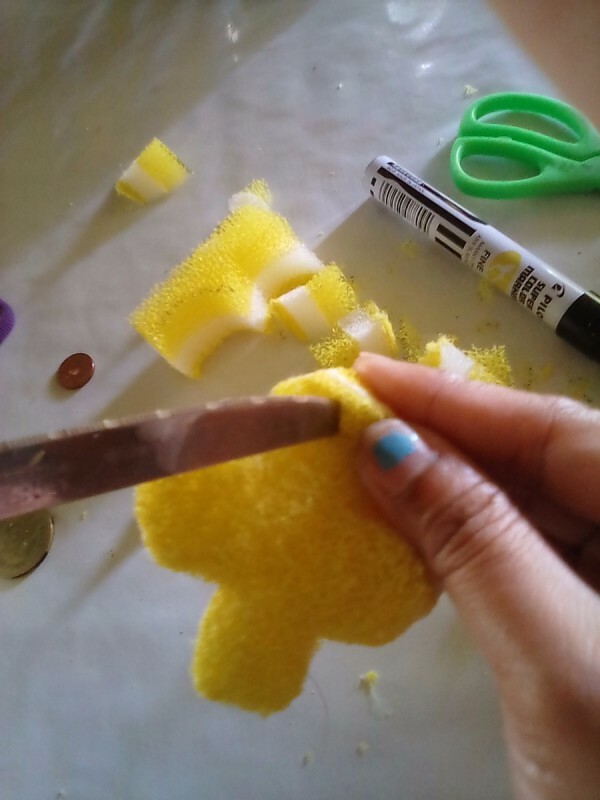 Make a hole on the side with the use of small knife. And insert the rubber band. 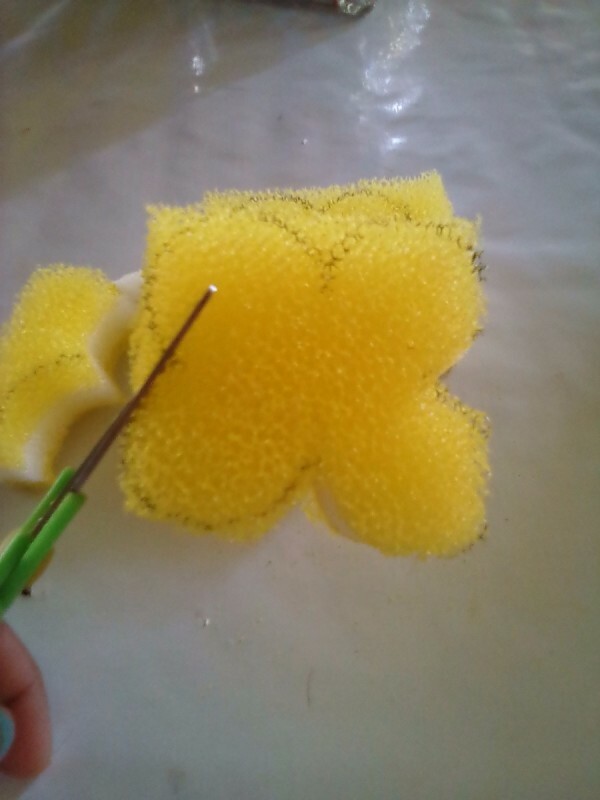 Use 5 drops of essential oil to add a scent to the dish sponge. And you're done, you can hang it in front on the mirror. It's thrifty, isn't it?